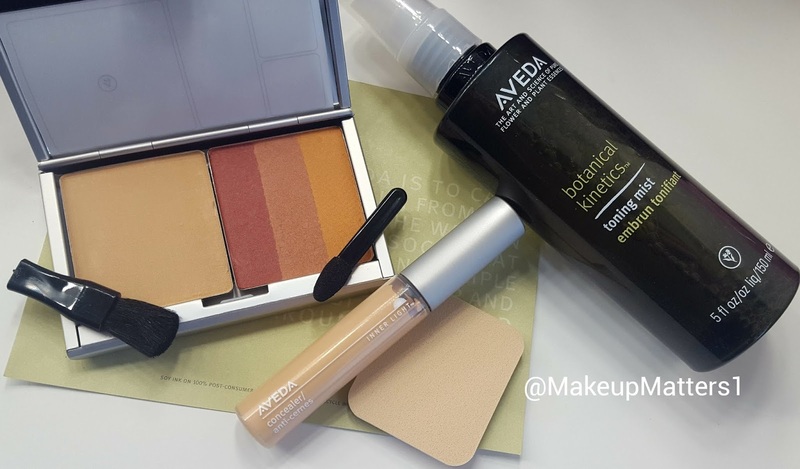 Makeup Matters: Amazing Products From Aveda To Try Right Now! I have been getting my hair done at an Aveda salon for years. Everyone is familiar with their quality hair care products. What some people may not realize, is the brand also has amazing skincare and makeup options available. 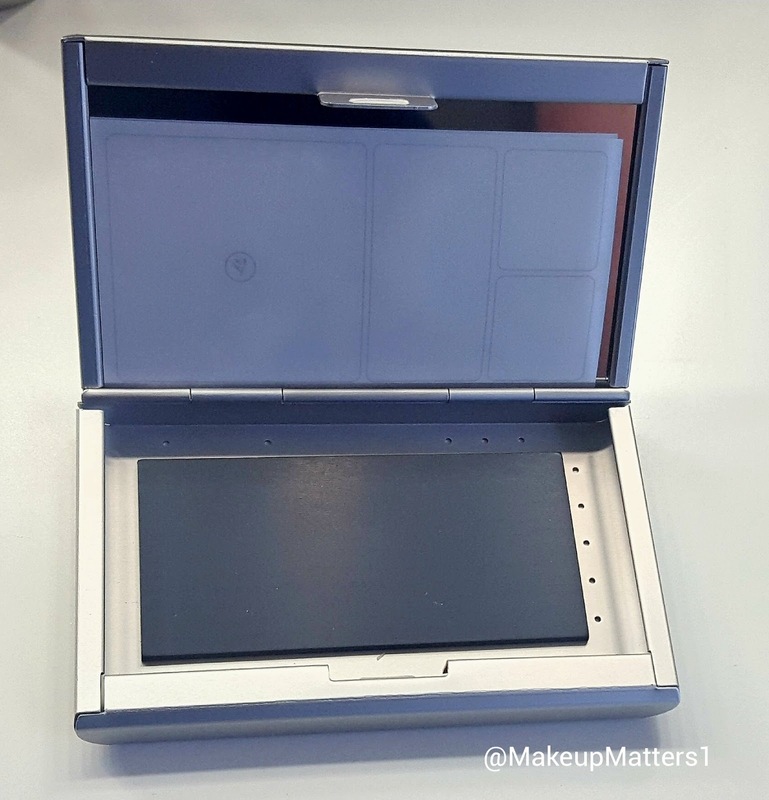 While at my local salon last month, I took a peek at their makeup station. *Some products in this post were sent for consideration. I do not get paid to write reviews. All thoughts and opinions are my own and always 100% honest. I never guarantee a positive review in exchange for products. Any links in this article are strictly for the convenience of the reader, and I do not receive any commission. A makeup brush that was on display caught my eye, and I asked my stylist if I could purchase one. I was lucky enough to get the last one (which oddly happens to me a lot)! The brush I purchased is Aveda's Inner Light Foundation Brush. It has quickly become part of my morning routine, and I took to Twitter to profess my love for the soft bristles of this handy tool. This brush retails for $40, and is worth every single penny. I can feel the quality in my hand everyday when I touch the smooth cylinder handle. Originally, I was using this brush with liquid and cream foundation products, dotting small amounts on my face, and then blending it out with the brush for a flawless, airbrushed look. Aveda was kind enough to send me their Inner Light Mineral Dual Foundation to use with the brush. This is a powder foundation that can be used both wet or dry. 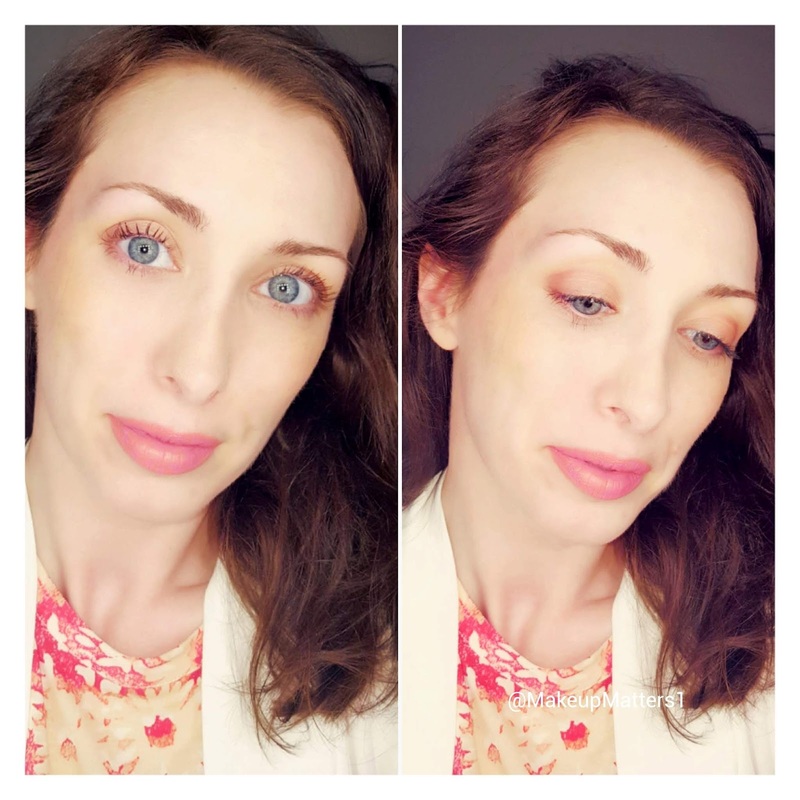 I am 37 years old, so when I use any powder products, I get concerned about them settling into the fine lines around my eyes. This mineral foundation was created to diffuse light, so it actually minimizes the look of fine lines and imperfections. 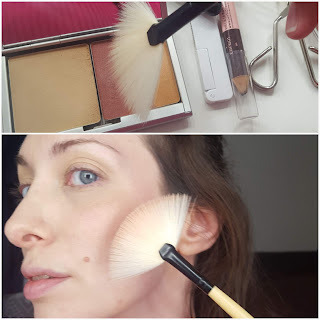 I tested this foundation wet and dry, using both the brush and included sponge. When applied dry, it is easy to achieve full coverage. I use a smaller precision kabuki brush and buff the product around fading acne scars while watching them disappear like magic. 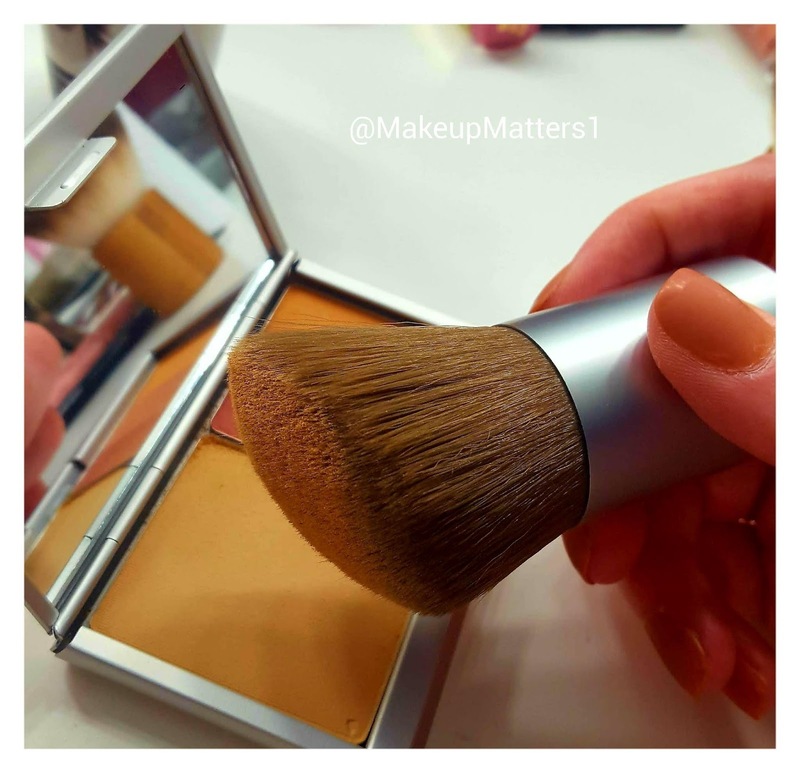 If you don't need as much coverage, you can apply the dual foundation with a damp sponge, swiping it onto the skin and stippling on areas that need more coverage. This foundation is very easy to use, and I would recommend it to makeup experts and beginners alike. I found that I needed very little product to achieve a flawless base. I prefer to apply it with my Aveda brush when using it dry, and with a damp beauty sponge (like the BeautyBlender) when I don't need as much coverage. 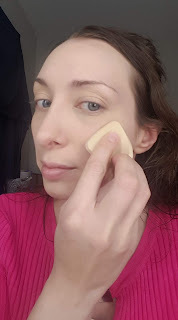 Any good makeup artist will tell you that the real key to a flawless base is prepping the skin properly beforehand. 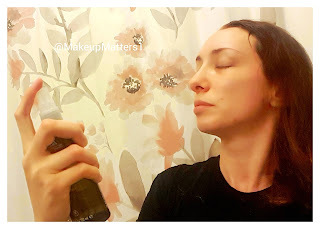 Luckily, Aveda sent me a bottle of their Botanical Kinetics Toning Mist to try. This stuff smells so good! The scent is difficult for me to describe, but it is a light, fresh scent that isn't overly flowery or perfume-like at all. It is just pure and very clean. 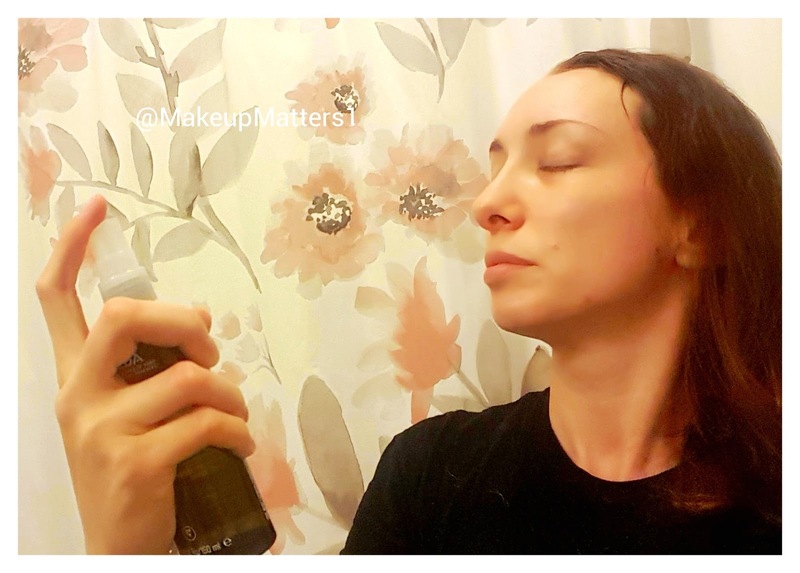 Seeing real results in skincare products can take some time, but I can tell you that this mist will be something I continue to reach for daily. It has a cooling, refreshing feeling on the skin that will be especially soothing with the warm weather we have coming in Illinois. I have been spraying it on my face, neck, and chest in the morning and evening right after washing my face. Something I read on the bottle itself that interested me is that it is made from 100% post-consumer PET, and First Beauty Company manufactures with 100% wind power in their primary facility. This product is recommended for oily to normal skin types. It can also be sprayed on mid-day when you need to refresh your face. Now, back to that base...along with the mineral foundation, Aveda was kind enough to include a tube of their Inner Light Concealer in Balsa. The color matches my fair skin perfectly, and is very easy to blend. 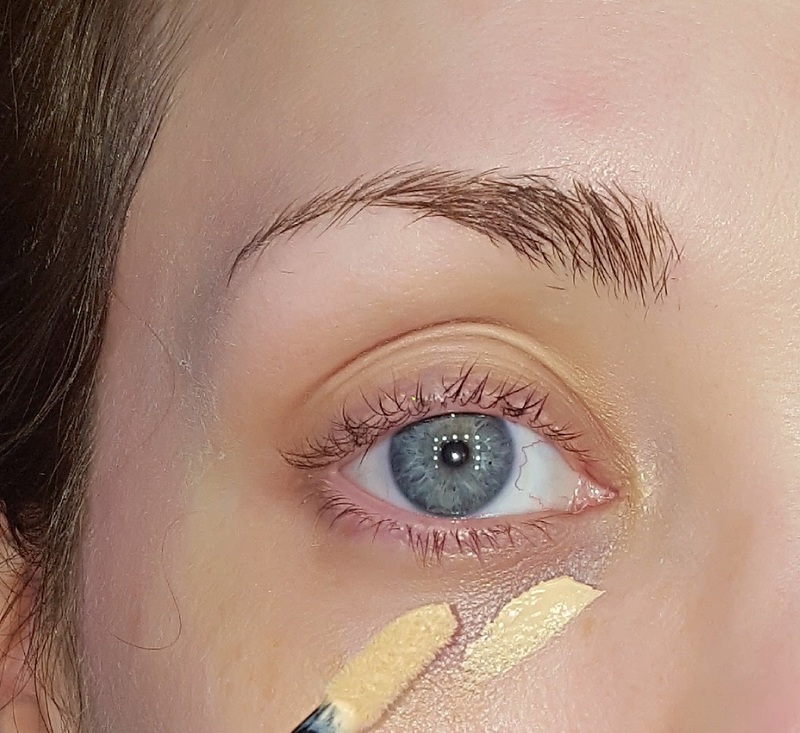 It has become my go-to under eye concealer, because it provides full coverage, with a demi-matte finish making it ideal to wear under the mineral foundation. Aveda also sent me one of their environmental compacts, which holds my dual foundation and their Petal Essence Face Accent in Tessarae. The petal essence face accents are a trio of talc-free powders than can be used as a bronzer, blush, or highlight depending on the shade and your skin tone. The color I have been wearing, Tessarae, contains neutral peach and rosy tones. I found these colors to be very long-wearing when I tested them over the mineral foundation along my cheekbones and as eyeshadow. I LOVE this product. It is so versatile, which is a makeup artist's favorite type of product. On my fair skin this looks just stunning as a blush. It doesn't even look like I am wearing makeup. Instead, it looks like a natural flush or as though the sun gently kissed my face. 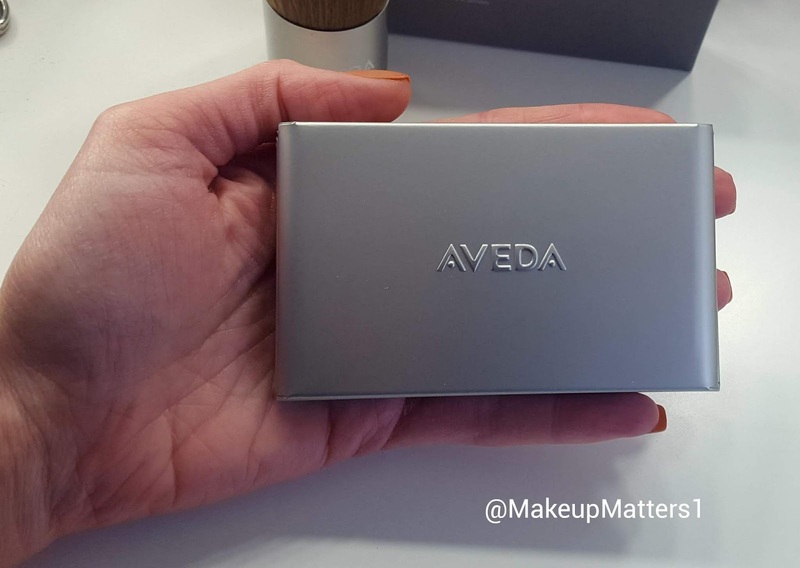 Pictured above, the mirrored compact has a magnet at the bottom so I can easily refill it with other Aveda products. It is the perfect size to carry in my purse for easy touch-ups. Above: On the left side of the compact is the mineral foundation, on the right is the petal essence face accents in Tesserae. 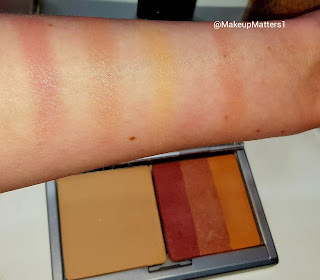 The first three swatches are the individual colors in the petal essence face accents, with the final swatch being a blend of all three shades together. While the petal essence face accents are recommended for use on the nose, forehead, chin and cheeks, I also used the colors individually on my eyes for a pulled together natural sheen. For face application, I found it easy to pick up each color individually using a thin fan brush, or using a larger brush all of the colors can be swirled together for a peachy glow. I get a lot of compliments when I wear these products. I am very excited to explore more products from Aveda, as I haven't tried a bad one yet! I was really hoping I would like these products, because Aveda is a very ethical company. In addition to being cruelty-free, they are always doing good things. They care about the environment, their products are made with responsible packaging and ingredients, and the quality is absolutely there. There was a time when "natural" products meant they were lacking in quality in some way. That has clearly changed. Natural beauty is a trend that is here to stay, and I am glad to be here for it. What are your favorite Aveda products? Let me know in the comments below!